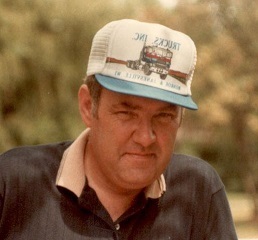 Mr. James C. Henningsen, age 74, of Meadows of Dan, Virginia, passed away Tuesday, December 12, 2017 at Forsyth hospital in Winston Salem, NC. He was born on September 27, 1943 in Benton, Wisconsin to the late James R. and Clara Henningsen. In addition to his parents he was preceded in death by three brothers, Roger, Lyle, and Paul. He was a contractor/builder, an active member of the community, had served as president of the Meadows of Dan Ruritan Club, volunteered with the Meadows of Dan Volunteer Fire Department, and was loved and respected by all. James knew the true meaning of success. He gave back to those who helped him along the way and never forgot where he came from. Mr. Henningsen is survived by his wife, Margaret of the home; one son and a daughter-in-law, Michael (Heidi); one daughter, Anita; two grandchildren, Bryce and Alexis; two sisters, Ann and Patsy; and one brother, Ken. Funeral services were held Sunday, December 17, 2017 at 2:00 p.m. at Moody Funeral Home Chapel in Stuart with Pastor Shawn Carter officiating. Burial immediately followed in Meadows of Dan Baptist Church cemetery. The family received friends from 1:00 pm until time of the service at the funeral home on Sunday afternoon. In lieu of flowers the family requests memorial donations be made to the Meadows of Dan Volunteer Fire Department, P.O. Box 830, Meadows of Dan, VA 24120. 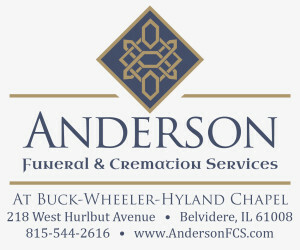 Online condolences may be sent by visiting www.moodyfuneralservices.com.